If you would like to have something outstanding and unique in terms of accents and designs for your bedroom, why don’t you try using rustic inspired pillows to complement your modern home design? Here are some inspiring photos that will make you want to have rustic designed pillows in your abode as soon as possible. If you know how to knit, it would be easy for you to make your own knitted sweater pillows that will surely be good accents for your bedroom as well as your living room. Another option would be to add buttons to your sweater pillows to enhance the design even further. You should not hesitate to experiment with DIY projects such as this one. On the other hand, if you have extra flannel shirts that can’t be repaired anymore to be worn, one way to recycle them is to turn them into accent pillows for your living room or bedroom. 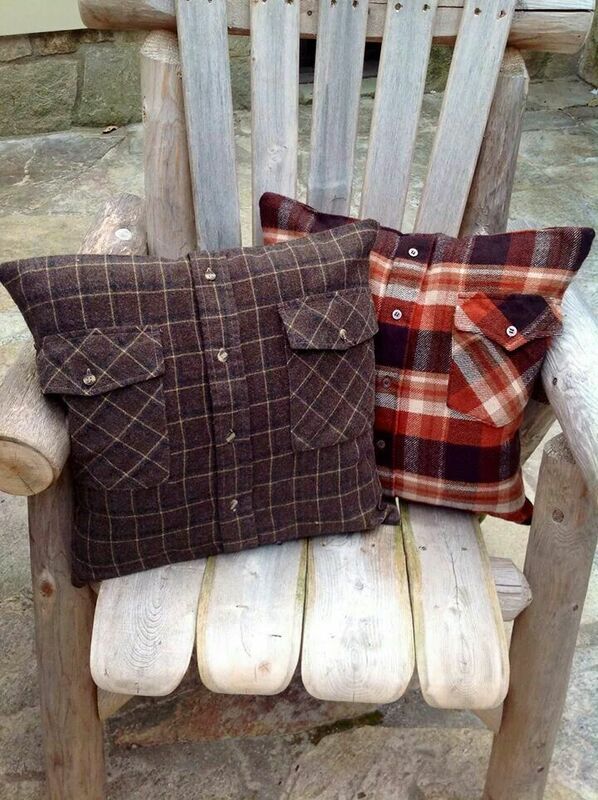 You can even add pockets to your flannel accent pillows for additional storage if necessary. I am sure that you will not regret doing this one bit in the long run. If you want to be a bit fancier than usual, why don’t you use faux fur for your accent pillows? This will be a great decision because fur is known to be comfortable and warm especially during winter nights. Below is a fur pillow set that has different shapes and sizes for varying tastes as well. You should definitely try using them on your own living room as soon as possible. Aside from this, you should also try using different fabrics for your accent pillows. Many specialty shops will allow you to get the fabrics that you may need for the project. So if I were you, I will go ahead and give it a shot. In addition to this, you can also use appliqués that can definitely add character to your pillows in the long run. Just look at this rustic accent pillow with a family of bears. Is it not quite beautiful to look at? Another material that you can use is burlap. It is extremely versatile and flexible in terms of quality and overall look. This will be a great material to use for your DIY accent pillow projects for sure. In the last picture, you will see how versatile burlap can be in terms of being an accent pillow. You will certainly be able to put different patterns and images on the pillow easily to reflect each passing season. Here is a Christmas inspired burlap pillow décor for your living room. These ideas some of the many picture samples that you can take inspiration from when it comes to designing your own accent pillow in the future. It is definitely something that should try especially if you have an artistic streak that you would want to explore in the future.